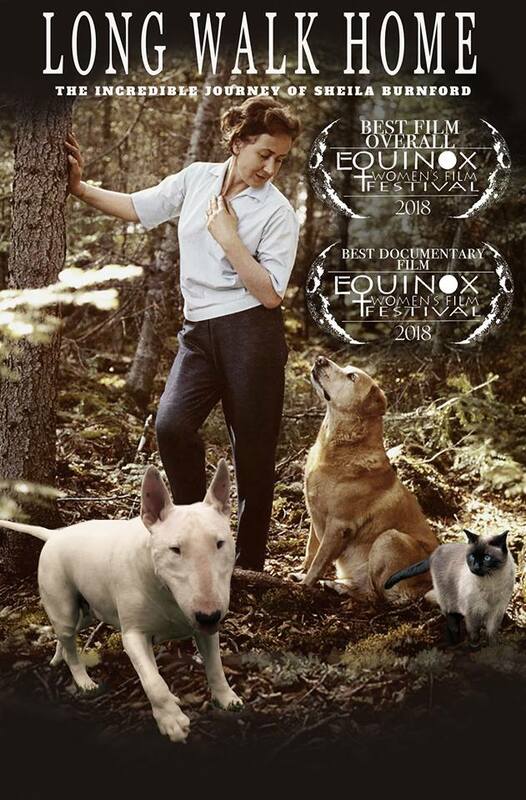 The most recent film by faculty members Kelly Saxberg and Ronald Harpelle, A Long Walk Home: The Incredible Journal of Shelia Burnford, has been awarded the Best Overall Film and Best Documentary Film at the Equinox Women's Film Festival. For decades, The Incredible Journey has been a family classic with numerous generations embracing the story of two dogs and a cat lost in the wilderness as they attempted to find their way home. A successful Walt Disney movie (and subsequent remakes) have kept the story in people’s hearts. Less is known about the woman who authored the original book: Sheila Burnford. Born in Scotland, she was a woman who embraced adventure and found herself in the middle of history during Europe’s most volatile period. After the war, in her new home in Northwestern Ontario, she once again set off in search of adventure. Everything she saw, everything she experienced, would eventually be used in her writings. Narrated by Sheila’s daughter, Jonquil Burnford Covello and using Sheila’s own words (published works and personal correspondence), family photos and home movies, this film explores the life of an incredible woman who loved adventure, nature and all animals. And in particular her love for a white bullterrier who was with her through the Blitz, life, death and all major family events. Her desire to memorialize him would lead to her greatest triumph.